William Law identified as an enemy of the Church. Joseph Jackson wants Hyrum’s daughter for a wife, is refused, begins to plot the murders of all the Smith family. The Nauvoo Expositor affair. Governor Thomas Ford arrives in Carthage, Illinois. Joseph and Hyrum are arrested, taken to Carthage Jail, and murdered by a mob of between one and two hundred men. Samuel Smith chased by the mob, receives injury, dies thirty-three days after the Martyrdom. Tremendous scene of sorrow at the family viewing of their murdered sons, husbands, and fathers. Church leadership set in order after Joseph’s death. Mother Smith ends her history with a soliloquy and a testimony of warning to her persecutors. Someone who suspected that Joseph alluded to William Law[ii] went to the latter and informed him that Joseph regarded him as a Brutus; and that it was his own opinion that he (Law) was in imminent danger. Law, on hearing this tale, went immediately to Joseph, who straightway called a council and had all that knew anything concerning the matter brought together and thus succeeded in satisfying Law that he intended no evil in what he had said. 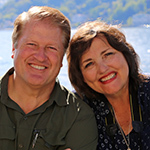 About this time a man by the name of Joseph Jackson, who had been in the city several months, asked Hyrum for his daughter Lovina,[iii] for he wished to make a wife of her. Hyrum, not choosing to have his daughter marry a man who did not belong to the Church, refused for this and other reasons. Jackson then asked Joseph to use his influence with Hyrum to get the girl for him. As Joseph refused to do that, he next applied to Law, who was our secret enemy, for assistance in stealing Lovina from her father. Hyrum heard of this and came to me several times for advice. He said he was alarmed about her, that he felt worse than he did when he was in prison. Jackson went from one to another, wherever he could learn that anyone had any feeling against our family, till finally he succeeded in getting a number to join in a conspiracy to murder the whole Smith family. They commenced holding secret meetings, one of which was attended by a man named Eaton, who was our friend, and he exposed the plot. He, as Colonel Levi Williams, commands the militia (alias mob) of Hancock County. On this man, I say, they called for assistance to drag Joseph and Hyrum, with the rest of the council, to Carthage. Williams swore it should be done and gathered his band together. Joseph, not wishing to fall into the hands of wolves or tigers, called upon the Legion to be in readiness to defend the city and its chartered rights. [x] Just at this crisis, Governor Ford arrived in Carthage. The apostates then appealed from the mob to the governor. At this time he came into the midst of the mob and asked them if they would stand by him in executing and defending the law. They said they would, and so organized them into militia and then demanded the brethren for trial upon the warrant issued by Smith (as he did not choose to recognize the right of habeas corpus granted us in the city charter). At the same time he pledged the faith of the state that the brethren should be protected from mob violence. [xi] Those called for in the warrant made their appearance at Carthage, June 24, 1844. On the morning of the twenty-fifth, Joseph and Hyrum were arrested for treason, by a warrant found upon the oaths of A. O. Norton and Augustine Spencer. I will not dwell upon the awful scene which succeeded. My heart is filled with grief and indignation, and my blood curdles in my veins whenever I speak of it. Joseph, Hyrum, Willard Richards and John Taylor were in the Carthage Jail until Thursday, June 27, 1844. My sons were thrown into jail, where they remained three days in company with Brothers Richards, Taylor, and Markham. At the end of this time, the governor disbanded most of the men, but left a guard of eight of our bitterest enemies over the jail and sixty more of the same character about a hundred yards distant. [xii] He then came into Nauvoo with a guard of fifty or sixty men, made a short speech, and returned immediately. Joseph and Hyrum were killed by a ruthless mob in this upper room of the Carthage Jail. In leaving the place, a few of them found Samuel coming into Carthage, alone, on horseback, and, finding that he was one of our family, they attempted to shoot him, but he escaped out of their hands, although they pursued him at the top of their speed for more than two hours. He succeeded the next day in getting to Nauvoo in season to go out and meet the procession with the bodies of Hyrum and Joseph, as the mob had the kindness to allow us the privilege of bringing them home and burying them in Nauvoo, notwithstan[xiv]ding the immense reward which was offered by the Missourians for Joseph’s head. Their bodies were attended home by only two persons, save those that went from this place. These were Brother Willard Richards and a Mr. Hamilton; Brother John Taylor having been shot in prison, and nearly killed, he could not be moved until some time afterwards. Joseph and Hyrum stand side by side as the heads of the dispensation of the fulness of times. After the corpses were washed and dressed in their burial clothes, we were allowed to see them. I had for a long time braced every nerve, roused every energy of my soul, and called upon God to strengthen me, but when I entered the room and saw my murdered sons extended both at once before my eyes and heard the sobs and groans of my family and the cries of “Father! Husband! Brothers!” from the lips of their wives, children, brothers, and sisters, it was too much; I sank back, crying to the Lord in the agony of my soul, “My God, my God, why hast thou forsaken this family!” A voice replied, “I have taken them to myself, that they might have rest.” Emma was carried back to her room almost in a state of insensibility. I then thought upon the promise which I had received in Missouri, that in five years Joseph should have power over all his enemies. The time had elapsed and the promise was fulfilled. I left the scene and returned to my room, to ponder upon the calamities of my family. Soon after this, Samuel said, “Mother, I have had a dreadful distress in my side ever since I was chased by the mob, and I think I have received some injury which is going to make me sick.” And indeed he was then not able to sit up, as he had been broken of his rest, besides being dreadfully fatigued in the chase, which, joined to the shock occasioned by the death of his brothers, brought on a disease that never was removed. On the following day the funeral rites of the murdered ones were attended to, in the midst of terror and alarm, for the mob had made their arrangements to burn the city that night, but by the diligence of the brethren, they were kept at bay until they became discouraged and returned to their homes. At this time William was absent on a mission to the eastern states. And he had taken his family with him in consequence of his wife being afflicted with the dropsy, hoping that the journey might be a benefit to her. Thus was I left desolate in my distress. I had reared six sons to manhood, and of them all, one only remained, and he was far too distant to speak one consoling word to me in this trying hour. It would have been some satisfaction to me if I had expected his immediate return, but his wife was lying at the point of death, which compelled him to remain where he was. His case was, if it were possible, worse than mine, for he had to bear all his grief alone in a land of strangers, confined to the side of his dying wife, and absent from those who felt the deepest interest in his welfare; whilst I was surrounded with friends, being in the midst of the Church; my daughters, too, were with me, and from their society I derived great comfort. Lucy Mack Smith, an engraving by Frederick Piercy. I have now given a history of my life as far as I intended carrying it at this time. I leave the world at liberty to pass judgment upon what I have written as seemeth it good. But this much I will say, that all that I have written is true and will stand forever. Yes, it will stand before God at that hour when small and great shall appear to answer at his bar for the deeds done in the body, whether they be good or evil, and there will I meet the persecutors of my family who are the enemies of the Church and declare with a voice that shall penetrate the ears of every intelligence which shall be present on that momentous occasion-when the spirits of the just and the unjust, the beggars and lords, the princes and potentates, the kings and emperors, the angels and seraphs, the cherubims and gods be called before him who is the God of gods and Lord of lords. Yes, in the presence of all these will I declare concerning our persecutors, that for eighteen years they hunted us like wild beasts who were thirsting for the blood of their prey; that without any just cause they drove me and my family from our home in New York; that they maliciously cast my husband into prison and despitefully used him; that they, while he was there, plundered my house and sought my son Hyrum that they might slay him; that in consequence of their abuse, we fled again before them and went to the state of Ohio. Here they dragged my son Joseph out of his bed at midnight and beat him until life for a season departed from his body, and after he recovered, they still continued to persecute him and the rest of my family so sorely that we were compelled to flee to Missouri, where they again renewed their hostilities against my household, and tore my sons from their wives, from their little ones, and from me; that they were thrown into prison, bound in chains, and sentenced to be shot, and all this when my sons were guilty of no sin and had committed no crime or offense against the law. I will testify to our Lord that after my sons had been in the hands of their adversaries for six months, they were compelled to fly from the state of Missouri into the state of Illinois in order to save their lives, for Governor Boggs had decreed that all Saints found within his jurisdiction after a certain time should be slain by the sword; that in Illinois, we were promised protection from murders and from mobs and we bought us homes and lived with them for a short time like brothers of one family. They were kind to us and we loved them, but the spoiler came, and certain who were not of our faith, joined themselves with the rabble of Warsaw, Carthage, and Green Plains, and they lied about us and scandalized us unto our friends, which caused our friends to become lukewarm and our enemies to increase, until at last they again seized my sons and cast them into prison and slew them. Furthermore, I will testify before him who was slain in like manner that in consequence of all these wrongs, the gray hairs of my aged companion were brought down in sorrow to the grave, and he was caused to weep over his children when he was even dying because of the wickedness of their enemies; that the cries of widows and orphans have gone up to the councils of the great men of the land and the rulers of the nation, but they laughed at our calamities; and the hands of murderers were upon us, and we were threatened, oppressed, and despoiled by our enemies. We appealed to lawyers, judges, governors, and presidents, but they heeded not our cry, their pledges were broken, the laws were trampled upon, and the statutes and ordinances of the land were tarnished to gratify murderers, thieves, and robbers. This shall be my testimony in the day of God Almighty, and if it be true, what will Lilburn W. Boggs, Thomas Carlin, Martin Van Buren, and Governor Ford answer me when I shall appear where the prayers of the Saints and the complaints of the widow and orphan come up before a just and righteous judge, who is not only our judge but the judge of the whole earth? You suffered my husband and children to be robbed, imprisoned, and murdered until the cries of five widows and twenty-four orphan children were lifted to you in vain, and we are still chased before a lawless band from one kingdom to another. Although I am now seventy years of age[xxi] and a citizen of the United States, and although my father and my brothers fought hard and struggled to establish a government of liberty and equal rights upon this home of my birth, and although I violated no law, yet in common with many thousands equally innocent, we were commanded by a mob to leave a country or stay there at the peril of our lives. Last of all and most to be deplored, those who are chosen to enforce and execute the law declare that the proceedings are outrageous but we must of necessity submit to them, for our countrymen have all become so corrupt that there are none to defend and maintain the sacredness of the law. If this be so, well may I say with the poet: Oh, for a lodge in some vast wilderness, some boundless contiguity of shade, where rumor of oppression and deceit might never reach me more. Let me leave the bones of my fathers and brothers, and the bones of the martyred children, and go to a land where never man dwelt. Farewell, my country, thou that killest the prophets and hath exiled those that were sent unto thee. Once thou wert fair, once thou wert pure and lovely, when thy legislators were just men and the lawgivers sought the good of the people like unto themselves. But now thou art fallen. The halls where wisdom and justice once dwelt, debauchery and despotism reign. Thy tables are filled with vomit and filthiness, and the hearts of the people with rottenness and deceit; but, oh, if there is left one in the midst of this sink of corruption in whose breast flows one feeling that warmed the heart of Washington, come forth, I pray you, declare yourself men, and spurn a spot which is so polluted that nothing can cleanse it but the judgments of him who is a consuming fire. I bid farewell until I shall appear before him who is the judge of both quick and dead; to whom I solemnly appeal in the name of Jesus Christ. Amen. [ii] William Law, born September 8, 1809, in Tyrone County, Northern Ireland, was a controversial character in the early history of the Church. Converted to the Church in 1836, he seemed destined to be a leader. He wrote to his friend Issac Russell in 1837: “Although trials, persecutions, privations and sorrows await the Saints, yet God will not forsake them; yea in the hour of their greatest need, he will stand by them to deliver. . . . Bro Joseph is truly a wonderful man he is all we could wish a prophet to be-and Bro. Sidney what Eloquence is his, and think how he has sacrificed for the Truth. . . . I am aware we must endure affliction, but I won’t shrink from my calling though I should have to sacrifice all things.” (William Law to Isaac Russell, November 10, 1837, as quoted in Lyndon W. Cook, William Law [Orem, Utah: Grandin Book Company, 1994], p. 7.) Three years after that statement Law would write Russell again concerning Joseph in Nauvoo (Russell had now apostatized): “I have carefully watched his movements since I have been here, and I assure you I have found him honest and honorable in all our transactions which have been very considerable. I believe he is an honest, upright man, and as to his follies let who ever is guiltless throw the first stone at him, I shant do it.” (Quoted in Cook, William Law, p. 11.) Soon thereafter William and his brother Wilson Law were in real estate competition with Joseph the Prophet in Nauvoo. The reasons for Law’s turning against Joseph were: feeling like Joseph had unfair advantage in control and influence of the sale of lots in Nauvoo, feeling like Joseph had introduced false doctrines and corrupt practices, and likely because Law’s father and daughter, Helen, died after the brethren had prayed for their recovery. (See Cook, William Law, pp. 20-22.) Though he was in the First Presidency, Law turned violently against Joseph and was excommunicated; and partly through Law’s actions and schemes, by and by, Joseph was killed. William Law died in Wisconsin on January 12, 1892. [iii] Lovina was only sixteen years old at this time. [v] The first and only number of the Nauvoo Expositor was published on Friday, June 7, 1844, twenty days before the Martyrdom. [viii] The press, type, and fixtures were the property of apostates William Law, Wilson Law, Charles Ivins, Francis M. Higbee, Chauncey L. Higbee, Robert D. Foster, and Charles A. Foster (see History of the Church 6:453). Francis Higbee had warned openly concerning the press: “If they [the citizens of Nauvoo] lay their hands upon it, or break it, they may date their downfall from that very hour, and in ten days there will not be a Mormon left in Nauvoo” (quoted in B. H. Roberts, A Comprehensive History of The Church of Jesus Christ of Latter-day Saints, 6 vols. [Provo, Utah: Brigham Young University Press, 1965], 2:230). [x] On Saturday, June 22, 1844, the brethren read a letter from Governor Ford concerning Joseph and his safety. According to Abraham C. Hodge, upon hearing it “Joseph remarked, ‘There is no mercy-no mercy here.’ Hyrum said, ‘No; just as sure as we fall into their hands we are dead men.’ Joseph replied, ‘Yes; what shall we do, Brother Hyrum?’ He replied, ‘I don’t know.’ All at once Joseph’s countenance brightened up and he said, ‘The way is open. It is clear to my mind what to do. All they want is Hyrum and myself; then tell everybody to go about their business, and not to collect in groups, but to scatter about. There is no doubt they will come here and search for us. Let them search; they will not harm you in person or property, and not even a hair of your head. We will cross the river tonight, and go away to the West. '” The last of the direct narrative in Joseph’s history reads: “I told Stephen Markham that if I and Hyrum were ever taken again we should be massacred, or I was not a prophet of God. I want Hyrum to live to avenge my blood, but he is determined not to leave me.” Joseph, Hyrum, and Willard Richards, with O. P. Rockwell at the oars, took a leaky skiff across the Mississippi at about two a.m. to put the plan in action. (See History of the Church 6:545-48.) Word immediately started coming across the river to these Brethren calling for them to return. To these messages Joseph replied: “If my life is of no value to my friends it is of none to myself” (History of the Church 6:549). 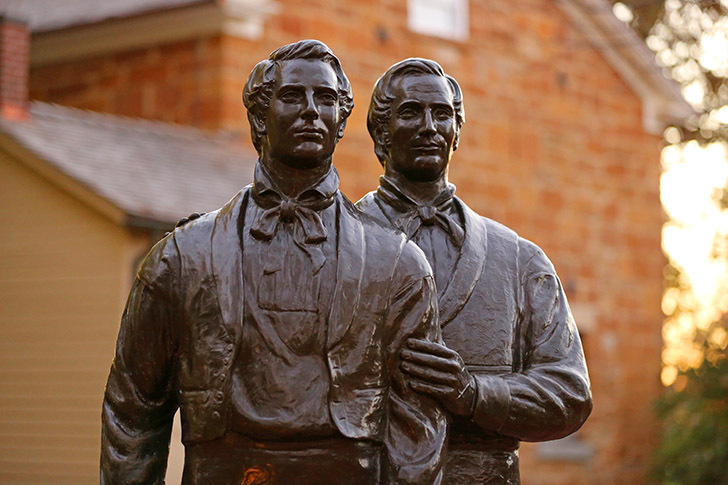 Joseph and Hyrum returned during the evening of Sunday, June 23, 1844. [xi] Though Governor Ford had given his personal pledge of executive protection to Joseph and Hyrum, there is great irony in his speech in Nauvoo about the time of the Martyrdom: “A great crime has been done by destroying the Expositor press and placing the city under martial law, and a severe atonement must be made, so prepare your minds for the emergency” (History of the Church 6:623). [xii] When Dan Jones left the jail at 5:30 a.m., June 27, he passed the officer of the guard, Frank Worrell (one of the Carthage Greys), and in a very bitter spirit Worrell said, “We have had too much trouble to bring Old Joe here to let him ever escape alive, and unless you want to die with him you had better leave before sundown; and you are not a damned bit better than him for taking his part, and you’ll see that I can prophesy better than Old Joe, for neither he nor his brother, nor anyone who will remain with them will see the sun set today” (History of the Church 6:602). [xiii] The deed was done in an instant. A ball blasted through the door hitting Hyrum in the left bridge of the nose between his eyes, and he fell to the floor. He landed on his back, saying, “I am a dead man!” He received three more balls. John Taylor tried to escape through the window and was hurled back in the room by a ball striking him in the chest against his pocket watch, pulverizing the glass and stopping the watch at sixteen minutes and twenty-six seconds after the hour of five o’clock p.m. He rolled under the bed and was hit with another ball in the hip (having received a total of four balls). Joseph sprang to the window, surely to draw fire away from his friends, and was hit in the right breast from outside; and as he fell forward, he exclaimed, “O Lord, my God!” then fell to the ground. Willard Richards escaped unharmed. (See History of the Church 6:617-19.) Willard Richards sent a restrained and powerful message by courier to Nauvoo: “Carthage Jail, 8:05 o’clock, p.m., June 27th, 1844. Joseph and Hyrum are dead. Taylor wounded, not very badly [this message was understated at Brother Taylor’s request so as to not frighten his family]. I am well. Our guard was forced, as we believe, by a band of Missourians from 100 to 200. The job was done in an instant, and the party fled towards Nauvoo instantly. This is as I believe it. The citizens here are afraid of the Mormons attacking them. I promise them no! W. Richards. John Taylor.” (History of the Church 6:621-22.) At the time of his death Hyrum was forty-four years, four months, and eighteen days old. Joseph was thirty-eight years, six months, and four days old. [xiv] It appears that Samuel came to Carthage to help his brothers but arrived after the slaughter. He assisted Willard Richards in preparing the bodies and getting them safely back to Nauvoo. [xv] In the Early Notebook Lucy dwells upon the ancient martyrs (such as Paul, James, Jude, Peter, etc. ), filling four pages, namely, 5-8 inclusive. [xvi] Samuel Harrison Smith died on Tuesday, July 30, 1844, just thirty-three days after his brothers had been killed. He was thirty-six years, four months, and seventeen days old. [xviii] Caroline Grant Smith, wife of William, passed away May 22, 1845. 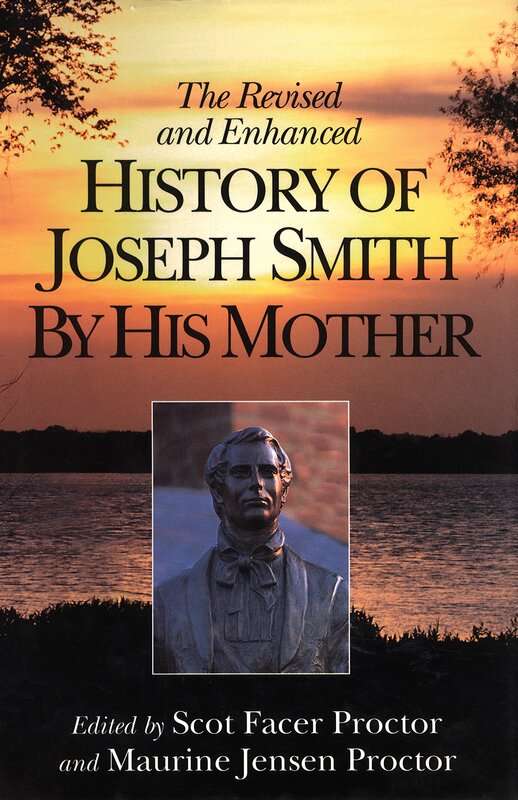 Clearly Mother Smith’s list of Smith martyrs included her husband, Joseph Smith Sr.; Samuel’s wife, Mary Bailey Smith; Joseph; Hyrum; Samuel; and Caroline. [xxi] Lucy Mack Smith turned seventy years old on July 8, 1845.